The Sportshall Infants programme provides an essential introduction to Infants Multi Skills activity for Key Stage 1 children. Designed to be delivered both within Infant school halls as part of the five hour offer and also in central venues as part of a Cluster Festival experience the programmes focus remains on fun, skill development, participation and self improvement. The equipment is fun, brightly coloured and most importantly designed specifically for use with this age group. 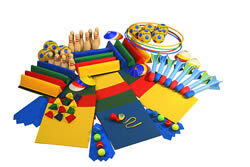 The equipment pack is built around a set of versatile Agility Mats which can be connected together to deliver the Sportshall Infant activities. In addition, the Agility Mats provide the teacher with control both within the Cluster Festival setting but also during PE classes delivered within the school hall. Please click on the link to the right of this page to view the full range of Sportshall Infants equipment. The Resources to facilitate the delivery of a Sportshall Infants Festival can be found to the right of this page. 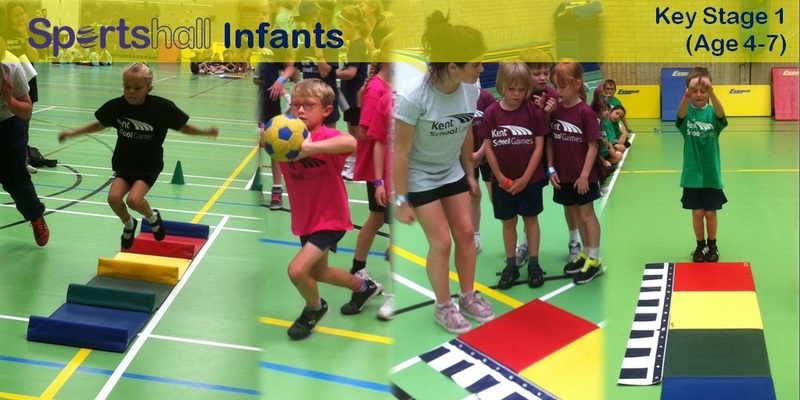 • Delivering an Sportshall Infants Cluster Festival for up to 120 children. • Delivering twilight training to provide teachers with ideas and the confidence to deliver PE lessons using our equipment. • Providing example PE lessons for both children and teachers using our equipment. For any further information or queries please don’t hesitate to contact the team.